The Federal Government and the World Bank Power Sector team yesterday met on the possibility of Nigeria accessing a $1 billion Performance Based Loan (PBL) from multilateral institutions. Finance Minister Mrs. Zainab Ahmed dropped the hint at a joint news conference with Central Bank of Nigeria (CBN) Governor Godwin Emefiele at the end of the 2019 World Bank/International Monetary Fund (IMF) Spring Meetings in the United States. The minister cleared the air on fuel subsidy, saying removing it is not on the cards. The International Monetary Fund (IMF) has been advocating the removal of fuel subsidy to free more money for infrastructural development. The Federal Government believes doing so will increase the burden of the poor. 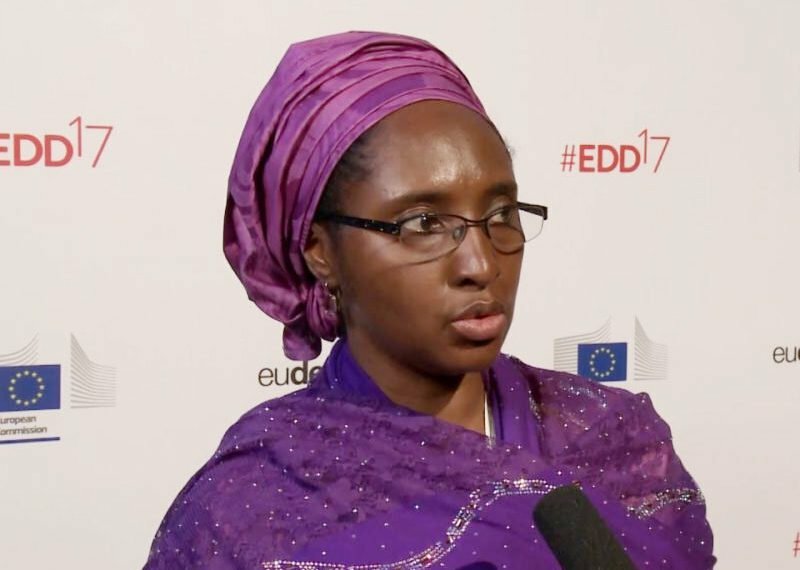 She spoke of plans by the Debt Management Office (DMO) to issue N15 billion Green Bond to fund agriculture, power, health and water amenities to make life better for the people, saying the Green Bond will be the second one and would be used to finance agriculture, power sector – mostly solar projects – as well as some projects in the water sector. On fuel subsidy, Mrs Ahmed said there was no plan by the government to remove fossil fuel subsidies. “We are here to discuss with the global community on various policy issues. One of the issues that always come up, especially in the IMF Article IV is how we handle fuel subsidy. “So, in principle, the IMF would say fuel subsidies are better removed so that you can use the resources for other important sectors, which is good advice, but in Nigeria, we do not have any plans to remove fuel subsidies at this time because we have not yet designed buffers that will enable us remove the subsidy and provide cushions for our people. On Brexit, Emefiele attributed ongoing Brexit controversy in the United Kingdom (UK) to immigration and trade opportunities. The CBN governor said: “I would say that though Britain and Nigeria have trade relationship, but it is not as strong as what we have with China and the United States (U.S.) For instance, China is Nigeria’s largest trading partner, followed by the U.S. And I had imagined that Britain comes quite low on the scale. Giving an overview of the meetings, Mrs. Ahmed said they provided an opportunity to review developments in the global economy, examine emerging and associated risks. They also offered potential policy menu to ameliorate the situations, going forward, she added. The meeting noted the slowing down of the global economy with a revised global growth from 3.3 per cent in 2019 to 3.6 per cent in 2020, mainly due to the heightened trade tensions, tightening financial market conditions, softening industrial activity, dampening global investment, monetary policy normalisation and geopolitical tensions, such as uncertainties over Brexit, all resulting in policy uncertainty. In terms of fiscal policy, Mrs. Ahmed said government debts to Gross Domestic Product (GDP) ratios had reached unprecedented levels and this limits the capacity of some of these countries to provide countercyclical policies; consequently, potential growth remains subdued in most of these countries, partly as other factors, such as aging populations, declining birth rates and raising barriers to immigration weigh in. Mrs. Ahmed said the key takeaway was that the IMF requested for a mandate to pursue some negotiations with governors for temporary financing options for ensuring that the Fund remains adequately resourced by maintaining the current resource envelope through borrowed resources. She said Nigeria used the Spring Meetings to showcase what the government had been doing in human capital development. The minister said: “We have set up an inter-ministerial working group with representatives of the state governors and are currently piloting some initiatives in health, education and, of course, you are all aware of the social safety nets programmes of the Federal Government where we have 15 million people already on the register.